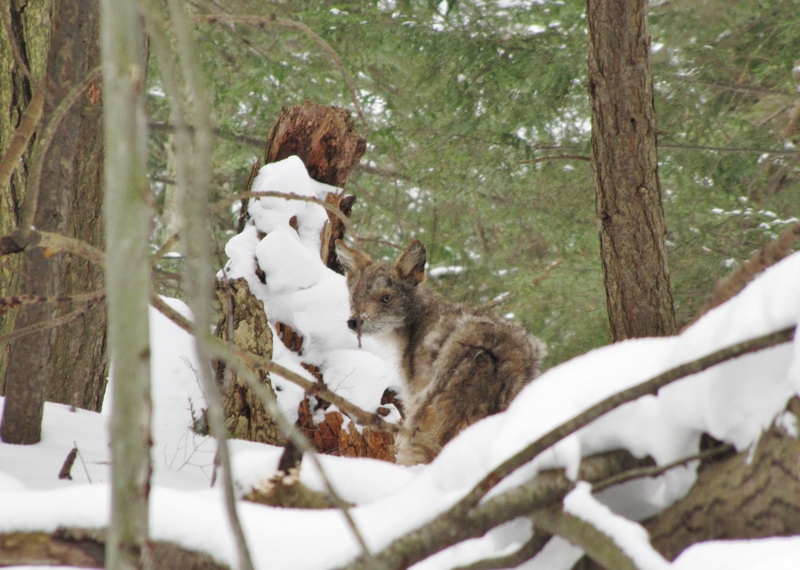 The eastern coyote is seldom seen, but tracks tell the winter tale of its wandering. 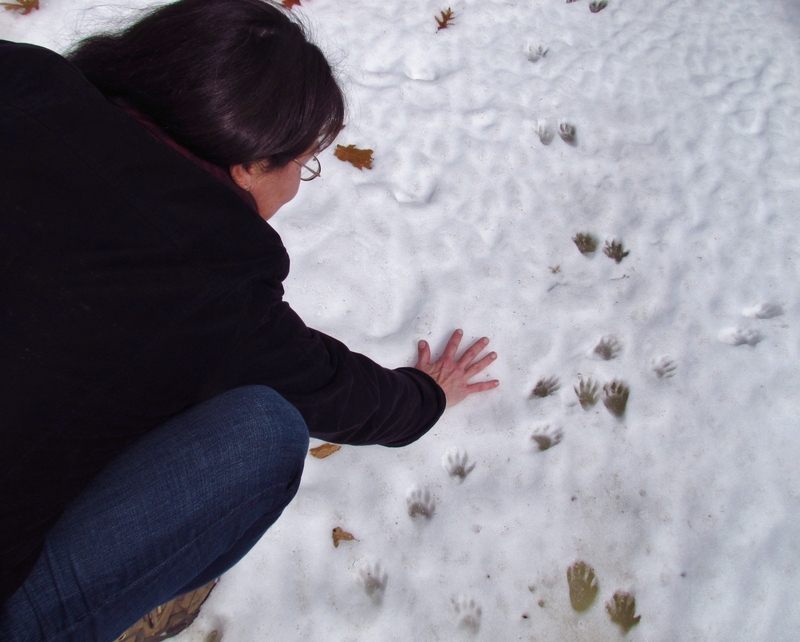 A hiker compares her hand to raccoon tracks in the snow. 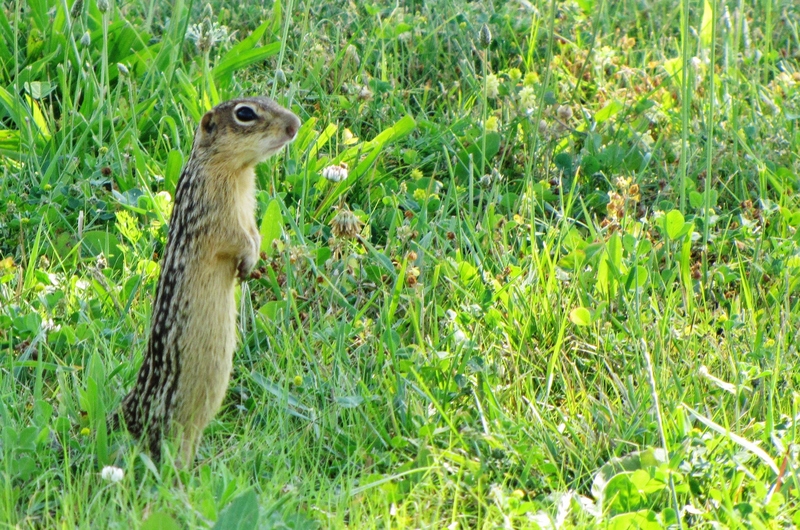 This time of year, the squirrels of Oakland County are full speed ahead, with the notable exception of the seldom seen thirteen-lined ground squirrels that snooze the winter away underground in deep hibernation. Squirrels need to stay in the full speed ahead, always alert mode, if they expect to live until spring. Coyotes, red and gray foxes, red-tailed hawks, feral and domestic cats, and the great horned owls that hunt at dusk all pay attention to squirrels as a winter food source. Frequenting bird feeders, one of these hungry predators can easily find a bounty of busy squirrels. 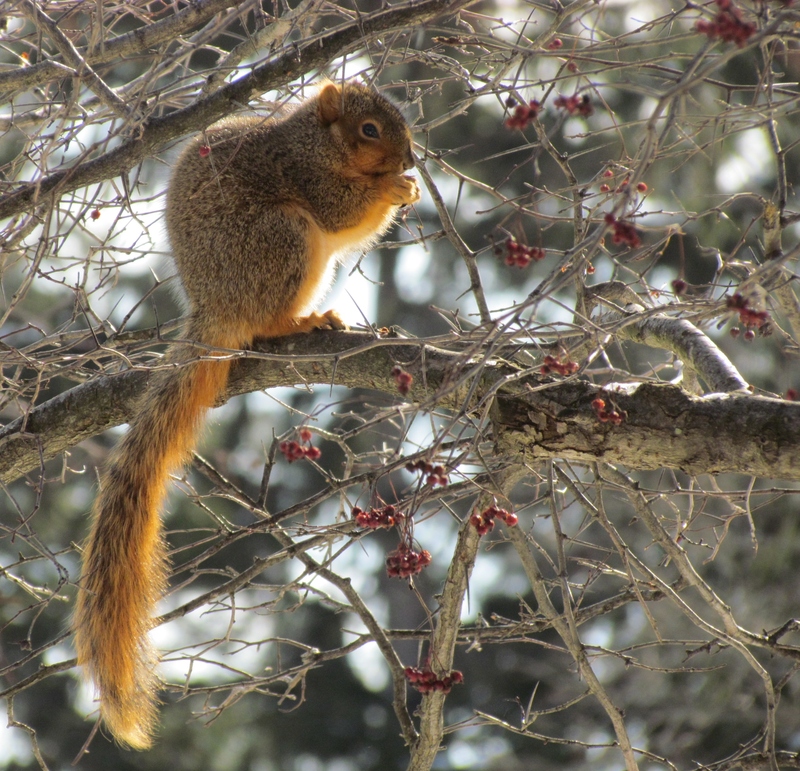 Eastern Fox Squirrels – Adapting to Seasonal Opportunity! The vernal equinox is one month away. More likely than not winter’s powerful punch will persist past that date of official transition for nature’s seasons do not always follow the calendar. The duel between seasons may be long lasting and rough. And for many creatures that means they will continue to wander through winter in an endless quest for food. But not for all. 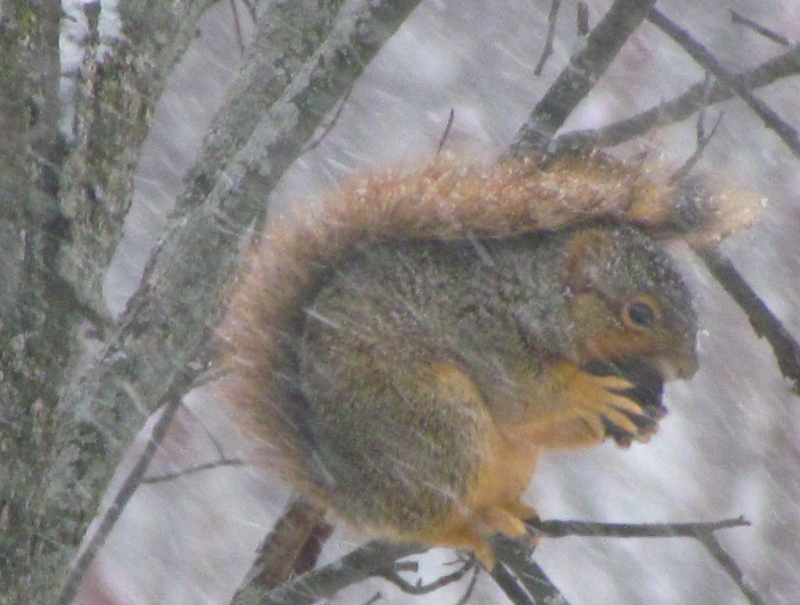 The eastern fox squirrel (Sciurus Niger) takes weather in stride. They are the largest native tree squirrel found in North America and a common squirrel of urban wilds. And as challenging as winter may be for humans and other wildlife fox squirrels do more than surive—they thrive. The fox squirrel is highly adaptable to varying conditions and not the least bit shy in taking advantage of opportunity. Much of that opportunity exists because of the large human population of Oakland County and the way we behave and alter habitat. 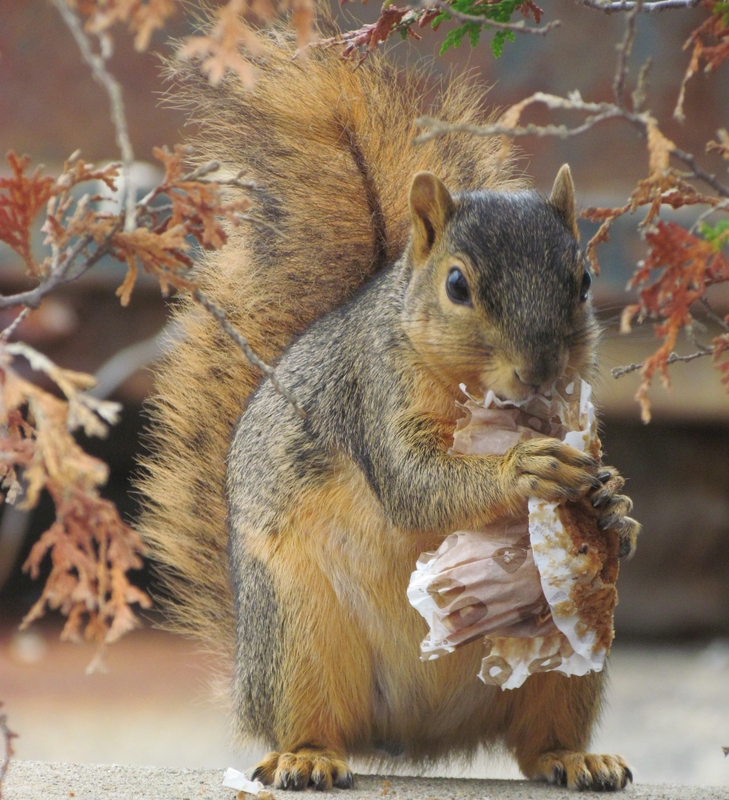 Unlike the more reclusive gray squirrel that breeds in forested habitat and is well established in the larger parks and wildlands of Oakland County, the fox squirrel prefers life in our neighborhoods. Bird feeders provided a significant amount of food during winter and half a dozen fox squirrels at a feeder at once is not an unusual occurrence. Whether squirrels “tell” each other where free handouts are available or bird feeding frenzies draw their attention might never be known. But even without feeders these excellent clawed climbers with long tails that double as blankets during blizzards find our landscaping practices to their liking. Abundant ornamental berries that persist through the winter are a major source of food. And what better meal on a sparkling sunny day of winter than hawthorn berries in front of the park office. An opportunist fox squirrel feasting near the front door of Oakland County Parks Administration office in Waterford Township.